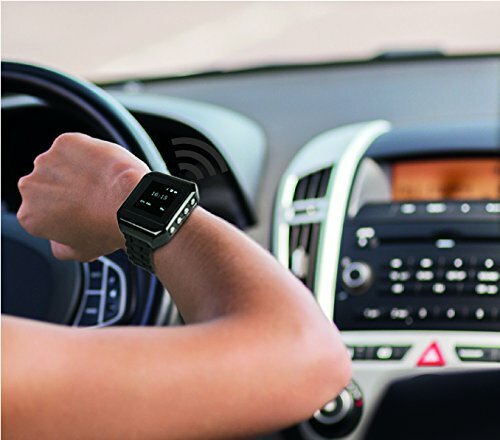 An affordable smartwatch with a large OLED display and Bluetooth connection. 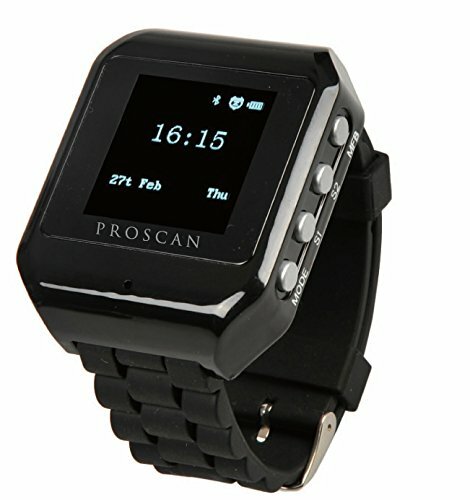 The Proscan smartwatch comes with a large, 1.5″ OLED display. Unlike most of the recent smartwatches, this model has no touch screen, but hosts 4 buttons on the right side instead. You can connect your phone using the Bluetooth connection, it will allow you to make calls and get notifications. In theory, you could also use it to stream music to the watch and listen it on the built-in speakers, but we are not convinced about the quality. The power is provided by a 250 mAh lithium battery, which allows for 5 hours of talk time or 120 hours of standby. Charging is quick and easy using the included micro USB cable. In just 2 hours the watch will be fully charged.